What has happened to the “Rule of LAW”? Illegal is illegal is it not? Try going to Mexico or any other country on this planet and do what these ILLEGAL immigrants are doing. Just try it. You’ll be drummed out (if you’re lucky). More than likely you’ll be doing hard time and good luck getting a phone call after your arrest. One of the few things that Sessions has stood firm on (as far as we know) is the law and it’s enforcement when it comes to illegal immigration. Seeming to support Trump at least on this one peace of his agenda. A lawsuit challenging a U.S. immigration policy that allows parents to be separated from their children may proceed, a judge ruled Wednesday. Judge Dana Sabraw of the U.S. Southern District of California said he would decide later whether to order a nationwide halt to the policy. Sabaw said the lawsuit — involving a 7-year-old girl who was separated from her Congolese mother and a 14-year-old boy who was separated from his Brazilian mother — could proceed on a claim that their constitutional rights to a fair hearing were denied. Sabraw also said he would issue separate rulings on the American Civil Liberties Union’s request for a nationwide injunction and to expand the lawsuit to apply to all parents and children who are split up by border authorities. “Such conduct, if true, as it is assumed to be on the present motion, is brutal, offensive, and fails to comport with traditional notions of fair play and decency,” wrote Sabraw, an appointee of President George W. Bush. Sabraw said the ACLU’s claims were “particular troubling,” because the plaintiffs had allegedly come to the U.S. seeking asylum from their home countries, Bloomberg reported. “The government actors responsible for the ‘care and custody’ of migrant children have, in fact, become their persecutors,” the judge said. On Tuesday, President Donald Trump said the family separation policy was the work of his political opponents. In early May, Attorney General Jeff Sessions announced a “zero tolerance” policy at the border. 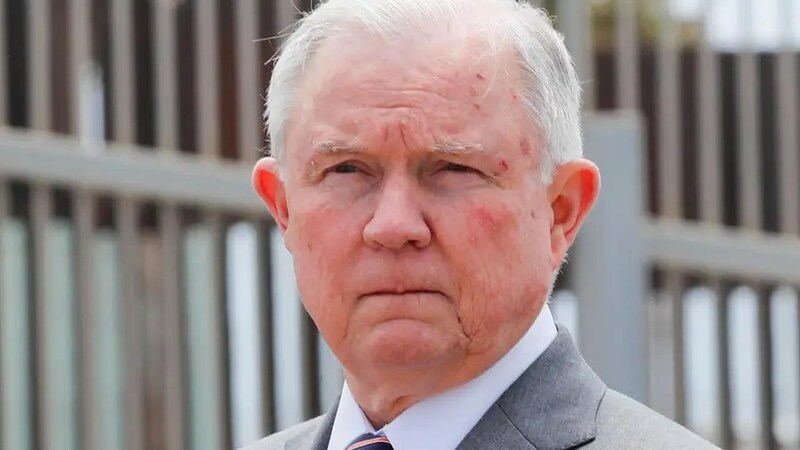 “We want to send a message to the world that if you want to come to America, make your application and wait your turn,” Sessions told conservative radio host Hugh Hewitt in a Tuesday interview, according to the transcript. However, the policy reportedly targets people with few or no previous offenses for illegally entering the country. “Today’s ruling could not be stronger, and squarely rejects the Trump administration’s claim that these families lack the constitutional right to remain together,” ACLU attorney Lee Gelernt said in an email obtained by Bloomberg. First-time offenders face up to six months in prison, though they often spend only a few days in custody after pleading guilty and exposing themselves to more serious charges if they are caught again. Sessions told Hewitt he has not visited the more than 100 facilities that have detained around 10,000 children. “Those are within the ambit of the Homeland Security and the Health and Human Services. But I believe for the most part they’re well taken care of,” Sessions said. Homeland Security declined to comment on pending litigation, according to Bloomberg’s report.